In the 1970's La Máquina Cementera (Cement Machine) collected half a dozen Mexican League titles. Being that there has been a 13-year drought since their last first division crown, Cruz Azul and Umbro have designed a jersey that evokes those fond winning memories. 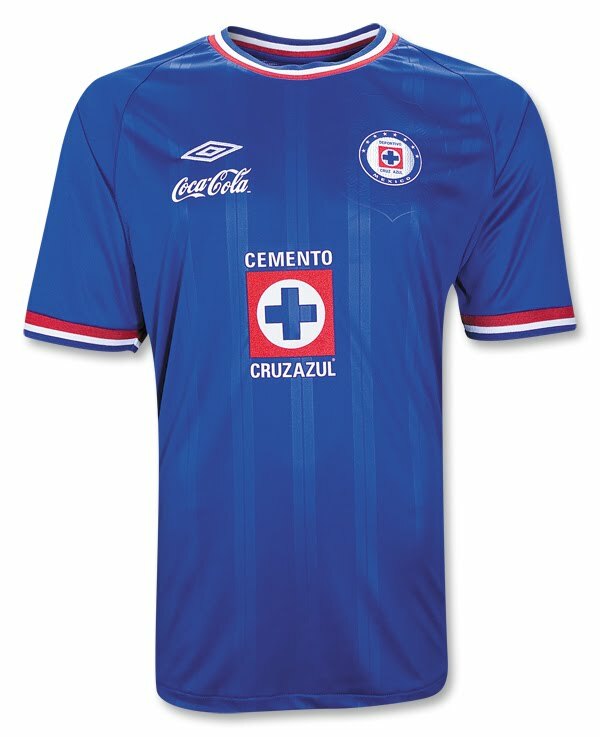 Official Umbro Cruz Azul 10/11 Home Soccer Jersey! The shirt, which is lightest ever, features a deeper, richer blue, sublimated stripes down the front, with red and white ribbed stripes on collar and sleeves. The sublimated crest - the team's original from 1964 - surrounds the embroidered club crest over the heart.